Can the practice be explained by reference to non-Western "cultural norms"? 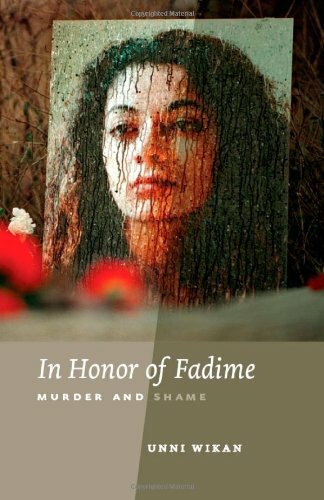 In January 2002, Fadime Sahindal was murdered by her father. The killing might have passed with little attention, like so many crimes, except that two months earlier this 26-year-old woman of Kurdish descent had addressed the Swedish parliament. She explained how she brought dishonor to her parents simply by living as an independent Swedish woman. This dishonor, she feared, could cause her death. She explained the difficulties of living as a woman between the worlds of Swedish freedom and Kurdish expectations. She told of the reluctance of police to take seriously her fears of her father, brother, and other male relatives. She called on the Swedish government to improve services designed to integrate immigrant families into Swedish society. Two months later she was dead.